The world's biggest public-voted games awards go live on September 21st - will your favourite games make the cut? The world's biggest public-voted games awards, the Golden Joystick Awards, are only weeks from launch - with voting due to begin on Friday September 21st. The Golden Joystick Awards 2018 are your chance to reward the games you love, and celebrate the industry's most exciting developers, studios, performers and streamers. Millions of gamers voted for their Golden Joystick Awards winners in 2017, and we've listened to your feedback to make this the most ambitious show yet; allowing you even more time to play the year's best games before picking your ultimate winner. Who won the Golden Joystick Awards 2017? Click to see all the Golden Joystick Awards 2017 winners - where The Legend of Zelda: Breath of the Wild won big. 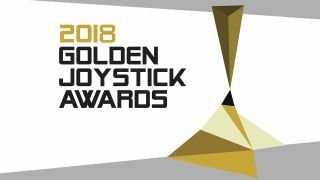 The Golden Joystick Awards 2018 goes live on September 21st, with voting in all key categories open until Thursday 25th October. The big change, is that the prestigious Ultimate Game of the Year award has its own special voting window - which opens on Friday 26th October and closes one week later on Friday 2nd November. This gives you more time to play the year's biggest releases before you cast your vote in the show's most hotly-anticipated category, with games such as God of War, Far Cry 5, Fortnite, Spider-Man and Red Dead Redemption 2 all vying to make our shortlist and compete for the year's ultimate gaming award. When will the shortlist be revealed? All will be revealed when voting goes live on September 21st, where we'll unveil the shortlist for all major categories; including Best Storytelling, Best PlayStation Game, Best Visual Design, Best Co-Operative Game and more. Keep up to date with all the Golden Joystick Awards 2018 by following us on twitter and facebook where we'll be teasing some exciting new categories, a raft of major video reveals at the show, and exciting guests for our live stream.